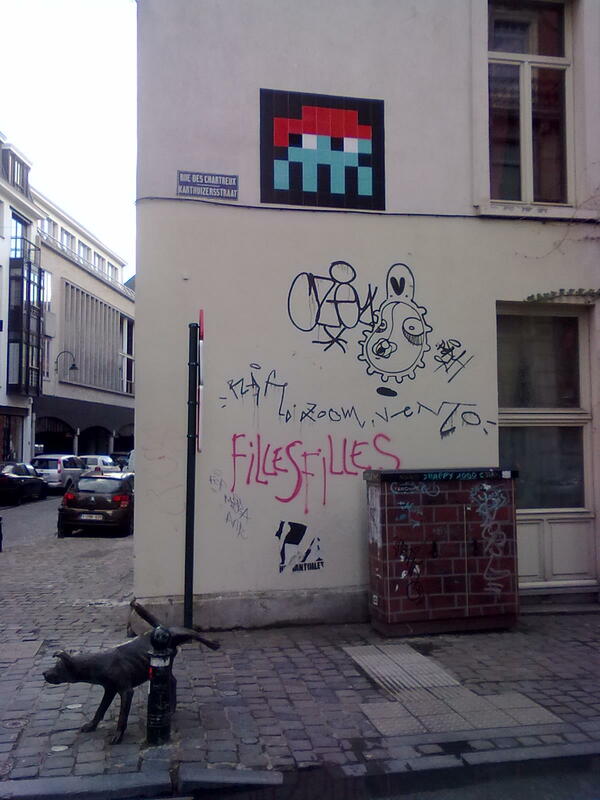 Friday night Brussels hosted a major event: the vernissage of a well know street artist, “Space Invader”. This is why the European Union capital has been recently covered with this original, still old-fashioned, form of graffiti. Moving fast in between political engagement and smart acceptance of the rules of the capitalistic game (which Banksy’s 2011 Academy Awards nomination for best documentary testifies), as it has often been the case for contemporary popular art in general, these artists are gaining more and more mainstream acclamation. Do we think that the EU institutions can learn something from such a communication strategy?